Federal law in the United States (according to the IDEA) prescribes that students with disabilities should be placed in their neighborhood school with as much time as possible in a general education setting. This is LRE, or Least Restrictive Environment, provides that children should receive educational services with their typical peers unless education there cannot be achieved satisfactorily even with appropriate supplementary aids and services. A district is required to maintain a full range of environments from least restrictive (general education) to most restrictive (special schools). Students need to be active - not passive learners. Children should be encouraged to make choices as often as possible, a good teacher will allow students some time to flounder as some of the most powerful learning stems from taking risks and learning from mistakes. Students with disabilities must be free to learn at their own pace and have accommodations and alternative assessment strategies in place to meet their unique needs. Students need to experience success, learning goals need to be specific, attainable and measurable and have some challenge to them. The teacher facilitates the learning by encouraging, prompting, interacting, and probing with good questioning techniques, such as 'How do you know it's right—can you show me how?.' The teacher provides 3-4 activities that address the multiple learning styles and enables students make choices. For instance, in a spelling activity a student may choose to cut and paste the letters from newspapers or use magnetic letters to manipulate the words or use colored shaving cream to print the words. The teacher will have mini-conferences with students. The teacher will provide many learning manipulatives and opportunities for small group learning. Parent volunteers are helping with counting, reading, assisting with unfinished tasks, journals, reviewing basic concepts such as math facts and sight words. The classroom that is child centered relies on learning centers to support whole group and small group instruction. There will be a language center with learning goals, perhaps a media center with opportunity to listen to taped stories or create a multimedia presentation on the computer. There will be a music center and a math center with many manipulatives. Expectations should always be clearly stated prior to students engaging in learning activities. Effective classroom management tools and routines will provide students with reminders about the acceptable noise level, learning activity and accountability for producing a finished product or accomplishing the center tasks. The teacher will supervise learning throughout the centers while either landing at one center for small group instruction or creating "Teacher Time" as a rotation. Activities at the center take into consideration multiple intelligences and learning styles. Learning center time should begin with whole class instructions and end with whole class debriefing and evaluation: How did we do with maintaining a successful learning environment? Which centers were the most fun? Where did you learn the most? Learning centers are a great way to differentiate instruction. You will place some activities that every child can complete, and some activities designed for advanced, on level and remediated instruction. Co-teaching: Often this approach is used by school districts, especially in secondary settings. I have often heard from general education teachers who are co-teaching provide very little support, are not involved in planning, in assessment or in instruction. Sometimes they just don't show up and tell their general ed partners when they have scheduled and IEP. Effective co-teachers help with planning, provide suggestions for differentiation across abilities, and do some instruction to give the general education teacher the opportunity to circulate and support all the students in a classroom. Whole Class Inclusion: Some districts (like those in California) are placing dually certified teachers in classrooms as social studies, math or English Language Arts teachers in secondary classrooms. 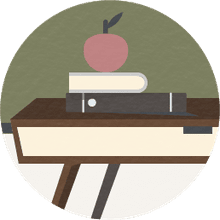 The teacher teaches the subject to both students with and without disabilities and carries a caseload of students enrolled in a specific grade, etc. They would most likely call these "inclusion classrooms" and include students who are English Language Learners or struggling with grades. Push In: A resource teacher will come into the general classroom and meet with students during centers time to support their IEP goals and provide small group or individualized instruction. Often districts will encourage teachers to provide a mix of push in and pull out services. Sometimes the services are provided by a para-professional at the direction of a special education teacher. Pull Out: This sort of "pull out" is usually indicated with a "Resource Room" placement in the IEP. Students who have significant problems with attention and staying on task may benefit from a quieter setting without distractions. At the same time, children whose disabilities put them at a significant disadvantage with their typical peers may be more willing to "risk" reading aloud or doing math if they aren't worried about being "dissed" (dis-respected) or mocked by their general education peers. Observation is key. Knowing what to look for is critical. Does the child give up easily? Does the child persevere? Is the child able to show how he got the task right? The teacher targets a few learning goals per day and a few students per day to observe for goal attainment. Formal/informal interviews will help the assessment process. How closely does the individual remain on task? Why or why not? How does the student feel about the activity? What are their thinking processes? Successful learning centers require good classroom management and well known rules and procedures. A productive learning environment will take time to implement. The teacher may have to call the whole class together regularly in the beginning to ensure that all rules and expectations are being adhered to. Remember, think big but start small. Introduce a couple of centers per week. See more information on assessment.